Grab your suit, towel and sunscreen+GGit+GGs time to hit the beach! 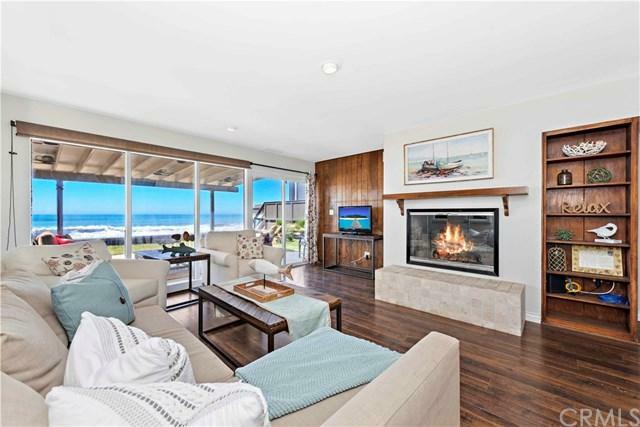 Welcome to paradise beyond the guarded entry gates of prestigious Beach Road in Capistrano Beach, where this surf+GGs-edge classic cottage offers panoramic ocean views and generous space indoors and out. A beachfront homesite of approximately 4,305 square feet hosts a covered patio and sunny lawn directly adjacent to the sand. 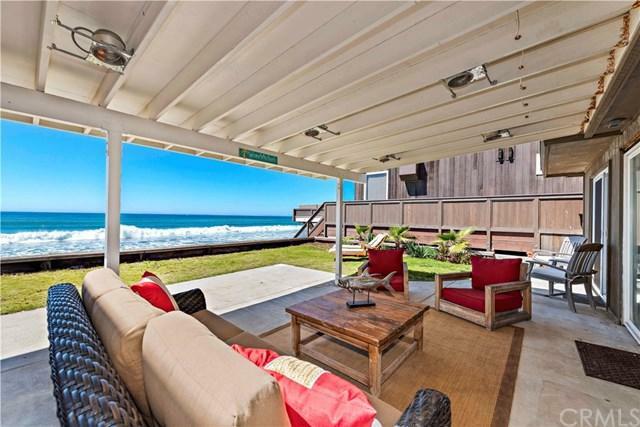 In fact, unlike most oceanfront properties in South Orange County, this lot extends across the beach to the high-tide mark. At the entrance to the cottage, a private, gated and fenced patio features built-in storage. Two onsite parking spots are accompanied by two more across the street, making it easy for friends to visit. 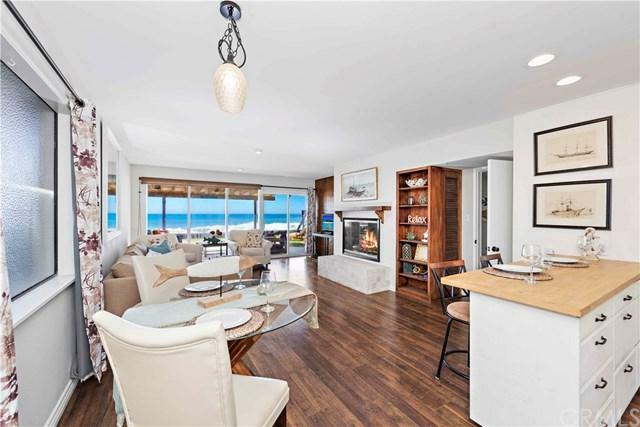 Sounds of the surf, fresh sea breezes, and views that stretch to the Dana Point Headlands create the ideal vibe for carefree living here, where three bedrooms and two baths with a master on the water. Floor-to-ceiling windows and a sliding-glass door invite Pacific panoramas into an open-concept living area with fireplace, built-in shelving, a dining space, and a bright kitchen with white cabinetry, recessed lighting, butcher-block countertops, white tile backsplash and a breakfast bar. Wood flooring, plush new carpet, shiplap walls, European fans and custom built-ins embellish the residence. 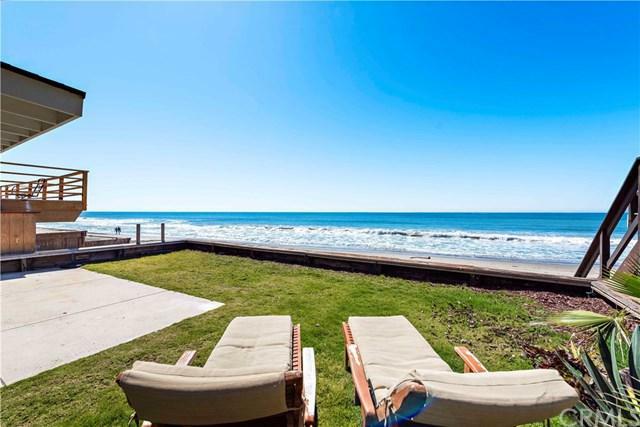 Enjoy this on the sand cottage as it is or create your dream masterpiece from the ground up with one of the fastest approval processes on the coast.